Los Angeles, CA (November 15, 2017) – World Poker Tour® today announced the full schedule for the Season XVI WPT® European Championship. 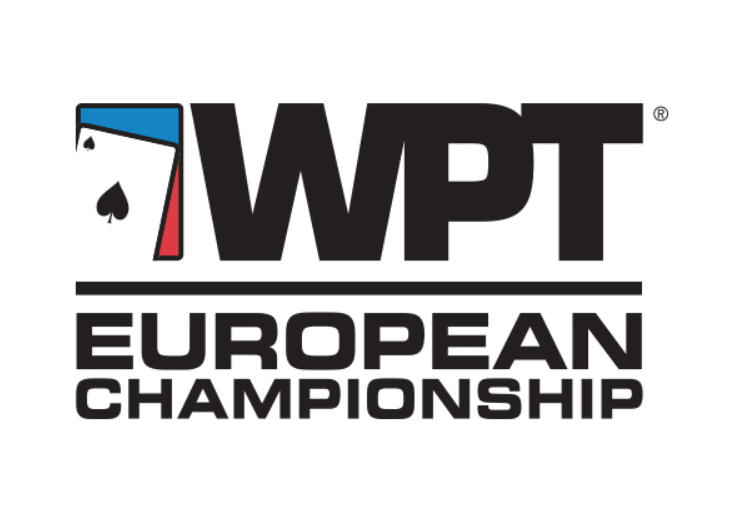 Taking place January 5-15, 2018, at Spielbank Casino in Berlin, Germany, the WPT European Championship is the return of a televised WPT Main Tour event to Europe. The festival features €1.6 million in prize pool guarantees, including both WPTDeepStacks™ and World Poker Tour main events. 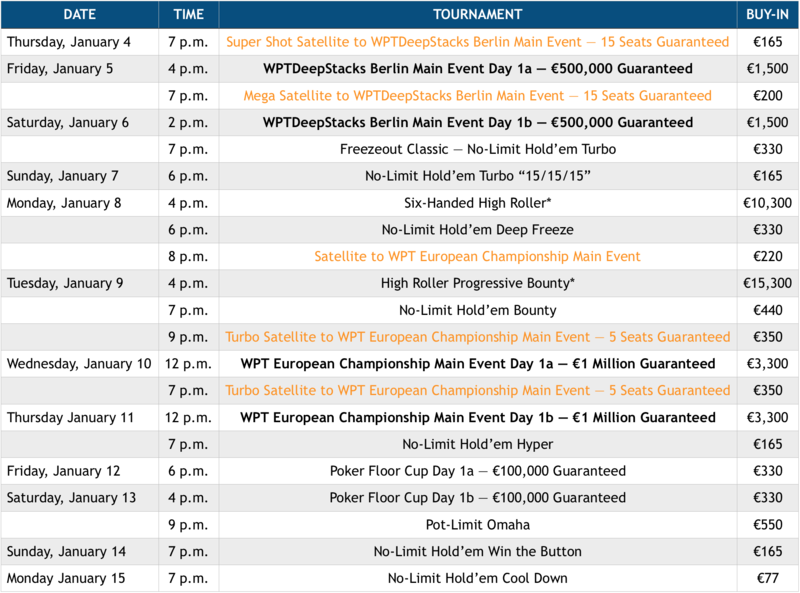 In addition to the WPT European Championship €3,300 Main Event and the WPTDeepStacks Berlin €1,500 Main Event, the WPT European Championship schedule features 11 tournaments ranging in buy-ins from €77 to €15,300, as can be seen in the schedule below.